Inner Cay against the background of Middle Caicos. 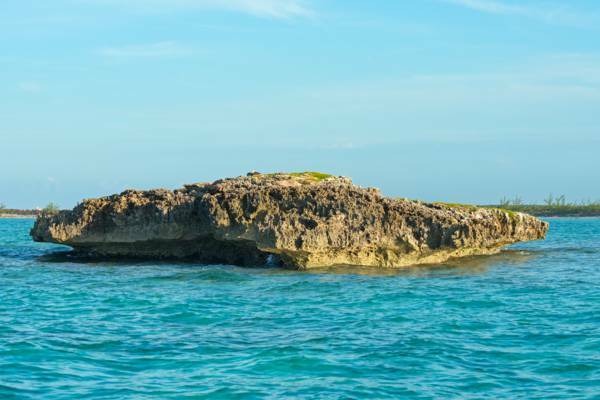 The smallest of the three cays found off the Bambarra region on Middle Caicos, Inner Cay is a tiny 60 foot diameter (18 m) rock. The only vegetation found here is salt resistant coastal vines. This small rocks supports an osprey nest.